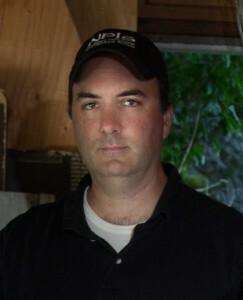 Adam began investigating the paranormal several years ago as a member of a Connecticut paranormal investigations team, gaining knowledge and experience while investigating various public and residential locations. His dedication to investigating the paranormal, vast knowledge of equipment, as well as spending hundreds of hours on evidence review and analysis quickly earned him the title of lead investigator and co-director. 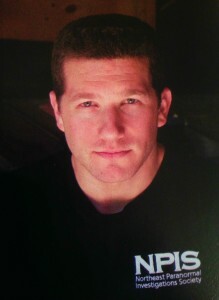 In 2009, he founded Northeast Paranormal Investigations Society (NPIS). With his strong interest in history, he put together a team of like-minded individuals to investigate historic locations throughout the Northeast region of the United States. Under his experience and leadership, NPIS quickly developed professional relationships with historical societies and other historic properties across the region. Adam also acts as the team’s historical researcher and webmaster. Mark has worked in the electrical field for a number of years. His experience and background in electrical services provides an abundance of opportunity to chase down possible causes for false positive collections in evidence. His knowledge in this field provides a means for us to establish and secure our evidence to make it more solid while also enabling him to repair equipment on site of an investigation. He has taken on the role of training new investigators on equipment usage and investigation tactics and possesses great attention to detail during material review. Barnaby has held a passion for paranormal investigation for over almost 20 years. Some of his first experiences started with a general curiosity on unofficial investigations along the coast of Maine. After joining NPIS in early 2010, he quickly demonstrated his ability to be a leader and helped establish a much needed image to stand out in this industry. He has worked closely with the group’s founder to establish a strong marketing package providing the group an identity to be proud of. He is a multimedia/production engineer by trade and brings his knowledge and experience in high end, professional technology to help capture, evaluate and document evidence relating to the paranormal. He has a keen eye and ear for reviewing evidence elements and often uses his technical background to develop new evidence capture processes (and equipment) to make the investigation process more effective and efficient. Kyle began investigating with NPIS in 2013. Though gifted with the ability to receive information from the spirit realm all of his life, he focuses more on the scientific approach to the paranormal during investigations, interested in documenting what he senses onto recording devices and obtaining physical proof of spirit activity. Combining senses with science allows Kyle to redirect his attention to specific areas of a location at certain times, which has proved valuable to the team, as we have been able to track spirits with scientific devices based on his intuition. 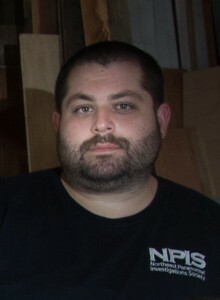 Matt joined NPIS in 2011 and quickly earned a permanent spot on the team. He specializes in audio analysis and documenting EVP during material review. In early 2012, NPIS learned Matt was moving out of state. Though distance prevents him from attending investigations, he’s still active in remotely reviewing material and continues to analyze audio, noticing and documenting paranormal evidence for presentation to our clients.